Apple snails, family Ampullariidae, are so called because many species, notably in the genera Pomacea and Pila, bear large, round shells. Pomacea species are native to South and Central America, parts of the Caribbean, and the southeastern USA, while Pila species are native to Africa and Asia. 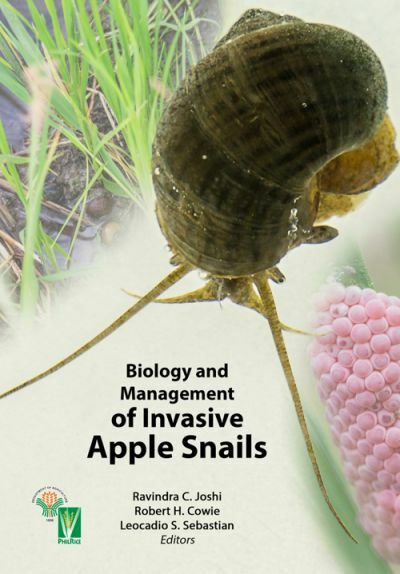 In the year 2000, one species of apple snail, Pomacea canaliculata, was listed among the world’s 100 most invasive species, largely because it had become a major pest of wetland rice in much of Southeast Asia. However this listing was published at a time when there was still confusion regarding the true identity of the invasive species in Asia; in fact two species are involved, not only Pomacea canaliculata but also Pomacea maculata. Pomacea canaliculata is native to Argentina and Uruguay, while P. maculata is more widely distributed from the La Plata region of Argentina to the Amazon basin of Brasil, including Uruguay and Paraguay, and possibly Bolivia, Ecuador and Peru. These two species have commonly been referred to as golden apple snails, or GAS, often without clarifying specifcally which species, perhaps both, was involved, or indeed simply assuming it to be Pomacea canaliculata. For clarity, this book avoids this ambiguous common name designation, and hopes that others will move forward with the correct species designation for the apple snails with which they work. Only in this way can research results be truly comparative and useful. One or both of these species of Pomacea have become widely established not only in many parts of Southeast Asia but also in Japan, Taiwan Province of China, Guam, Hawaii, Papua New Guinea, the Dominican Republic, Spain and parts of the mainland USA. Pomacea diffusa has been introduced to Sri Lanka, and Pomacea scalaris, as well as Pomacea canaliculata, has been introduced to Taiwan Province of China. An additional unidentifed species has been introduced to the southeastern USA. Most of these introductions are the result of escape or release from aquaculture operations, or happen through the pet trade. In the Philippines alone, estimates of economic losses associated with apple snails ranged from US$425 million to US$1.2 billion in 1990. Pomacea species are also important transmitters of Angiostrongylus cantonensis, the rat lungworm, which has had major human health consequences, most notably in southern China, where the snails are eaten raw as a delicacy. There is therefore a clear need to control the proliferation and spread of these pests in ecologically and economically sustainable ways. This requires research on control and management measures, but also a clear understanding of the identities and basic biology of the species involved. In 2006, a previous book, Global Advances in the Ecology and Management of Golden Apple Snails (edited by R. C. Joshi and L. S. Sebastian), documented progress in this arena. However, in the decade since publication of that landmark book, research on apple snails has burgeoned and the identities of the species involved has been clarifed. The present book reinterprets old problems and presents much of this new knowledge, with the lessons learned and knowledge available in one country or region informing management approaches more widely. 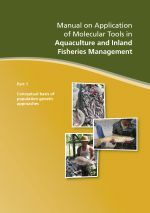 We hope that this new book will not only bring together this new knowledge in a single accessible place but also highlight the need to prevent the further spread of these invasive species, especially in the context of a changing climate.